The NHS must reduce its annual £8bn family medicine bill. The cost of an individual prescription item can vary from as little as 81p for a generic drug, to over £20 for branded drugs. 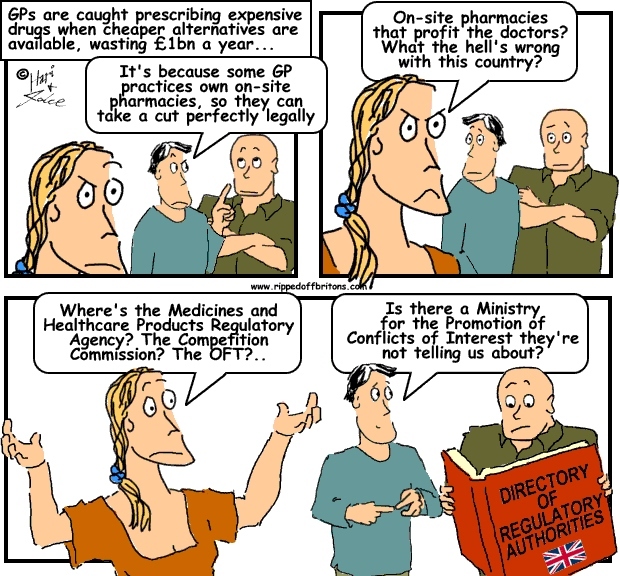 Part of the problem lay with GP practices with on-site pharmacies, which make money for the doctors working in the practice. Because the profit margins on branded drugs are substantially higher, they have an incentive to prescribe more expensive drugs. Corporate culture - are we culturally a nation of looters?